Any online marketing strategy should consist of a variety of methods to attract and convert visitors. These should include a regular updating of your website, reviewing your website audit and correcting any errors and warnings, maintaining an active and quality blog, being active and engaging on social media and finally establishment of a pay-per-click advertising campaign. If yours is one of the very few websites that receives all the customers it can handle via organic search, referrals and direct traffic you can forget about PPC. Unfortunately, the vast majority of business websites do not fall into that category and are therefore constantly looking for ways to attract more visitors. 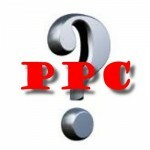 It is for this reason that PPC should be considered as an integral part of your overall marketing strategy. I have found very few businesses that would admit that they cannot use any more customers and PPC can bring those additional customers but there is a cost and this can be the biggest block to convincing website owners to begin a PPC campaign. The argument goes that you are paying to get visitors but the reality is that you are paying to get them with the other methods too. Time involved in those tasks cost you whether you admit it or not. Keep in mind that the top 3 sponsored ads in the Google search results normally account for over 40% of all clicks. Can you afford to miss out on those clicks? The big difference between what you spend on the other aspect of your internet marketing is that all those other tasks that you pay someone, in hours worked, do not guarantee that you will get any more visitors. On the other hand, with a PPC campaign you only pay for those that actually do click your ad and come to your website. Moreover, with a well-developed PPC campaign your ads are highly targeted so there is a greater chance that those clicking your ads are looking for your product or service. The key to making PPC successful is measuring your return on investment. There’s no guarantee that a PPC will be successful, but understanding the criteria for success is the beginning. For example, if you are paying $1.50 per click for visitors, and 10% of your traffic converts, then the cost per conversion, which can be a lead, sale, or inquiry, is $15.00. If your profit on a conversion is more than $15.00, PPC is providing a return. There are many factors than can impact both your cost per click and conversion rate. So, if you’re new to PPC, we recommend that you either research this subject thoroughly or get help from a PPC professional. In closing it is important to state that I do not believe that a PPC campaign alone is the answer to any business but should be a part of their overall internet marketing strategy. It can help to bring targeted visitors and act as a supplement to your other endeavors. Developing a quality website, free of errors that confuse and turn away customers while providing the products and services they are looking for and engaging in an active social media strategy all serve to increase the number of organic search visitors. A pay-per-click campaign can help provide those additional visitors necessary to help achieve your overall business goals.